Throughout history humans have discovered natural medicines, largely through experimentation. This is surely true of chaga mushroom as well as white birch bark. Just when these potent tree medicines were first discovered is unknown. Yet, what is known is that they have been in use as both food and medicine for thousands of years. In particular, Siberian tribes-people realized that chaga mushroom is not only a tasty, soothing beverage but that it also helps maintain good health. Additionally, discovered over the centuries that specific diseases, notably lung conditions, gastrointestinal disorders, infections, skin diseases, and cancer, respond to chaga. Furthermore, they determined, its regular intake had significant preventive effects and was seemingly associated with a long and vigorous life. Yet, how could this mushroom possess such broad-spectrum powers? How could a single living entity, a mere tree mushroom, which grows preferentially on birch trees achieve so much, far more than the greatest scientists have achieved? Here is a natural medicine which is more broad in its powers than any pharmaceutical drug—and these actions were known long before the establishment of modern research. By mere observation and experience its potency became renowned. This tremendous power can be understood by reviewing its chemical nature. So, the proof is in the chemistry and nutritional density. Thus, it is no surprise that modern research confirms that the traditional powers of chaga mushroom and its extracts are very real. The best way to understand the powers of tree medicine, particularly the chaga mushroom, is to evaluate the chemistry. Chaga is a top source of a wide range of nutrients. Like other fungi it is also rich in enzymes. Yet, it is not the nutrients or the typical digestive enzymes that makes this mushroom unique. Chaga contains a massive amount of the enzyme superoxide dismutase (SOD), which is rarely found in an edible substance. This enzyme acts to absorb noxious free radicals before they can damage the body. Chaga contains 25 to 50 times more SOD than other medicinal mushrooms. This makes it the top source of this enzyme known. Chaga also contains substances known as sterols in great amounts. These are the plant form of steroids, the latter being made by humans. So, to reiterate plants synthesize sterols, while humans synthesize steroids. The key sterols in chaga are lanosterol, betulin, lupeol, and betulinic acid. The combination of sterols, particularly those of the betulin family, plus SOD makes chaga unique. It derives the betulin and betulinic acid from the birch bark. Regarding its rich supplies of SOD, apparently, this is produced by the mushroom itself. For survival of birch trees, as well as chaga mushroom,in harsh nature both sterols and SOD are required. Yet, too, both are essential for the survival of humans, especially those who are enduring great stress or suffering from chronic disease. So, sterols, substances similar to the cholesterol in human bodies, and SOD are two of chaga’s main constituents. Other major components include saponins, triterpenes (which are also steroid-like), proteins, amino acids, polysaccharides, major minerals, such as calcium and magnesium, and trace minerals. The production of SOD is a major issue. This is a potent antioxidant system of vast use for the human body. Its ingestion through chaga extracts is essential for the enhancement of human physiology. With age synthesis declines, as do tissue levels. This may explain the ultimate result of the ingestion of chaga extracts, which is the halting of the aging process. With the regular intake there is likelihood that lifespan can be extended by as much as 10%, perhaps more. Plus, because of the potent effects of both SOD and sterols there is the benefits of youthfulness. Both these substances block oxidative damage of the tissues. This largely accounts for the significant anti-aging properties of chaga mushroom. White birch bark extract also has this effect, since this is a top source of a wide range of sterols which possess anti-degenerative and anti-tumor properties. How crucial is SOD? According to Noguchi and Niki in Antioxidant Status, Diet, Nutrition, and Health this enzyme is essential for stopping tissue damage. This damage is the result of aberrant forms of oxygen known as reactive oxygen species. This is where SOD is crucial. It is a potent neutralizer of such noxious, destructive oxygen compounds. SOD converts dangerous forms of oxygen, the kind that is so explosive that it can damage and/or destroy cells, to oxygen gas, the type which is breathed. This is why this molecule is essential to life. Moreover, aging is the result of tissue damage, so by blocking this lifespan is extended. SOD is so essential to this process that it is, clearly, associated with long life. A number of studies have demonstrated the danger of low tissue SOD levels. Such low levels are not only associated with a decline in overall health but also a reduction in life span. In contrast, high or normal levels of tissue SOD in the aging body is associated with an increase in lifespan. Nature tells us this. 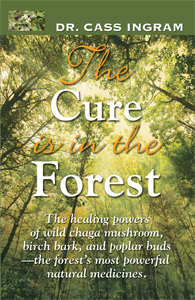 Chaga is a tree medicine and is the world’s top SOD source. Then, what are the longest lived of all organisms? It is the trees, which may live as long as 4,000 years. In humans hundreds of substances have been evaluated and, then, correlated with longevity. There has as a rule been no universal agreement of the findings, that is with one exception. This is SOD levels. In a key study, published in 1984, Richard Cutler of the NIH (National Institutes of Health) made the discovery. He determined that in a variety of animals SOD levels are more greatly correlated with a long and vigorous life than any other factor. Interestingly, humans have the highest levels of this enzyme of any mammals, and they are also the longest lived. Notably, the chimpanzee has about half the human levels of SOD and, then, about half the lifespan. SOD attacks this. It neutralizes such noxious molecules by converting them to mere oxygen and water. Other enzymes which assist in the process of neutralizing dangerous free radicals include catalase, peroxidase, and glutathione peroxidase. Thus, it is no surprise that when levels of SOD decline, there is a dramatic change in the body. Now, the incidence of degenerative diseases rises dramatically. Without SOD there is no means for the body to neutralize destructive free radicals. Thus, essentially, the body begins to decay; there is no way the organs can fend off the free radicals on their own, that is without sufficient SOD. Eating increases the production of free radicals, while stalls this. Yet, most people are not about to cut back on their eating. This is why chaga is an ideal alternative to, for instance, regular fasting, although the use of this mushroom plus regular fasting is ideal. Colman makes another critical point, as follows: Genetically inherited differences in SOD. levels can vary as much as 50% in humans, which helps to explain why some people are proneto degenerative diseases early in life as opposed to others who lead disease-free lives. In humans and other mammals antioxidant enzyme levels normally decline with age and levels of inflammatory gene expression, like COX-2 and IL6, increase with age. The only exception to these changes has been found in calorie restriction experiments with mice, primates and humans. Calorie restriction experiments were first conducted in 1932, and it was discovered that the longevity of mice increased 50%. Later experiments showed that animals fed normally one day and deprived of food the next day also lived 50% longer. Human experiments with calorie restriction at 50% daily intake or eating on alternate days also maintained youthful antioxidant enzyme levels and youthful expression of inflammatory genes. The decline in SOD is devastating. Without it, noxious forms of oxygen run amok. This is critical, because the explosive forms of oxygen readily cause cell damage. This is by causing direct damage to the cell walls, known as oxidation. “Lipids are oxidized,” note Noguchi and Niki, by reacting with “oxygen molecule(s) quite rapidly to give lipid peroxylradical.” This, they note, causes damage to fats within the cells and in the cell walls, which they call “spoilage,” and the damage caused by these rapidly acting free radicals is a proven factor in the cause of degenerative disease of the arterial walls known as atherosclerosis. The membranes contain cholesterol and phospholipids as key components. These crucial components may be readily damaged through free radical strikes. This causes contortions in the cell membranes. The cells, then, can no longer function. Nor can they defend themselves against attack. As a result, the cells and organs are greatly weakened. Thus, disease readily develops, including heart disease, diabetes, atherosclerosis, arthritis, skin disorders, lupus, and cancer. SOD halts this toxicity. Yet, here is the danger. The investigators said the poisoning happens suddenly. If there is no or insufficient SOD available, then, the damage proceeds unchecked. Thus, the intake of a daily supplement which provides biologically active SOD is an essential component of preventing or reversing oxygen poisoning in the body. In addition, sterols, as found in the wild chaga, are essential for rebuilding any cell damage, which is caused by oxidative stress. Thus, SOD and the sterols work as a team to both maintain excellent health of the internal organs and also to stall the aging process. This means that SOD- and sterol-rich wild chaga mushroom extracts are ideal for the regeneration of the body and also for the prevention of its degeneration. The chemistry of SOD is worthy of a thorough review, because this enzyme alone explains much of chaga’s unique properties. Superoxide dismutase is the main enzyme responsible for the destruction of the oxygen free radical, known as superoxide radical, written biochemically as O2-. Thus, it protects the cells of the body responsible for metabolizing oxygen from free radical-induced damage. It does so by acting more aggressively and more quickly than the radicals, in other words, it neutralizes them before they can do damage. Thus, SOD is essential to life itself. Without it, it is impossible to have good health. SOD was one of the first substances studied by antiaging pioneer J. McCord, who found that this enzyme protects the tissues from being corrupted by radical oxygen. Unprotected, the violent forms of oxygen cause a phenomenon known as depolymerization, which means essentially that the normal structural bonds between human cells are damaged and even destroyed. This enzyme is found in all human, as well as animal, tissues. The best dietary sources include chaga mushroom, other medicinal mushrooms, green peas, cabbage, dark green leafy greens, nutritional yeast, wheat grass, wheat germ, beef heart, and raw liver. Of note, nearly all medicinal mushrooms are rich in this enzyme but chaga is the highest. SOD’s role in preserving the health of the body is vast. This again relates to the O2- ion, which according to an article by Worthington Biochemical is “important in aging, lipid peroxidation, and the peroxidative hemolysis of red blood cells…”, in other words, this form of oxygen causes destruction of tissue. It is produced in part by the natural metabolic processes, where oxygen is used to burn fuel. It is also produced as a result of exposure to radiation, either from X-rays, CT-scans, or excessive exposure to sunlight. Regardless, destruction of tissue is synonymous with aging, whereas the blockage of this process is equivalent to youthfulness. The enzyme itself is a great blessing for human beings. It is the almighty creator’s special complex for protecting the human body from disease and, particularly, excessive aging. If it is in complete decline, aging proceeds rapidly. In fact, in genetically-induced aging syndromes, where people age at a highly accelerated rate, the levels of this enzyme are nil. SOD has the specific role of dealing with superoxide radical and is highly capable of doing so. No other component of the human body can achieve this. SOD miraculously attracts this noxious molecule by acting as a kind of platform for its absorption, so it can be rendered into relatively harmless oxygen (regular O2) and hydrogen peroxide. This is known as the “collision” of superoxide radical with SOD. and dark leafy greens. This is why chaga mushroom is so invaluable, because not only is it an exceedingly rich source of this enzyme but it also offers it in a form that can be utilized, rather, absorbed. This is true whether taken topically or internally. So, truly to gain the power of SOD humans should consume chaga as an emulsion. Then, here it should be taken as sublingual drops which further bolsters absorption. Also, it may be consumed as a kind of expresso, combined with wild white birch bark. Additionally, to further enhance SOD levels beef or bison hearts can be consumed, along with dark leafy greens, fresh organic peas, raw cabbage, medicinal mushrooms, and nutritional yeast. Some people prefer wheat grass as a source of the enzyme, which may explain the profound effects on the body of its regular consumption. For those who are sensitive to wheat the aforementioned vegetables and, particularly, the chaga are ideal alternatives. Thank you for your research and this great article. I have shared it! Hello Dr. I found you over 20 years ago with the oil of oregano, thank you! I have found many different ways to make chaga; some say boil for hours or days, double extraction, just pour hot water over it, or simmer no more than 175 degrees. I usually buy ground chaga. thanking in in advance for your time and information.